It took me awhile to warm up to pierogi. My husband has valiantly tried over the years to convert me to the joys of Polish cuisine, and he’s succeeded in a few, okay, a couple of cases. I’m now a huge fan of sauerkraut – all thanks to The Brinery – but pierogi just left me lukewarm. I like pasta and I like potatoes, but the pierogi combination just didn’t work for me. A plate full of starch left me unsatisfied and craving veggies. 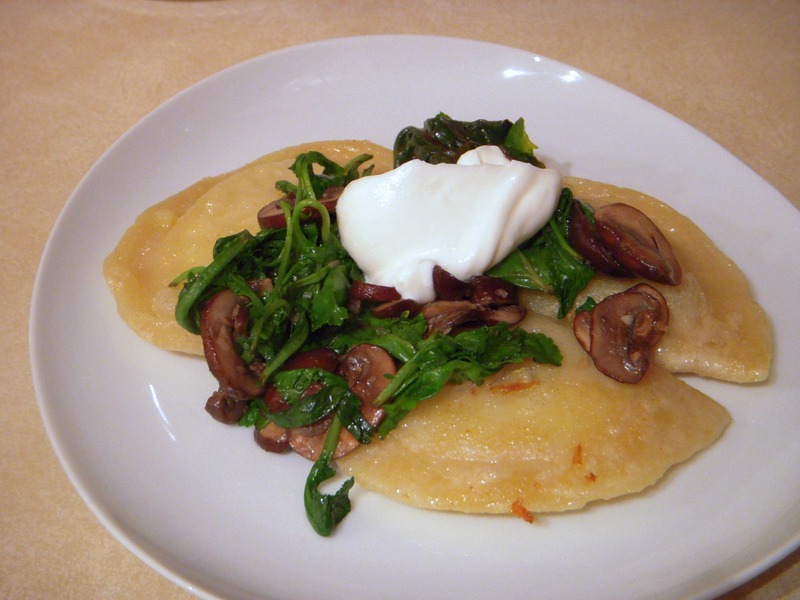 So that was my solution, I started topping my pierogi with sautéed mushrooms and greens from Brines Farm, and I quickly became a pierogi convert! If you’ve ever made ravioli, dumplings, or potstickers, the technique is very similar, and if you haven’t, don’t worry. Pierogi making is a pretty simple process, and you’ll quickly get the hang of it! I use a vegan pierogi recipe from the Post Punk Kitchen, and it is one of the few recipes that I don’t tweak. Not even the tiniest bit! I follow their suggestion to prepare the filling and the dough a night in advance, so the next day you just need to put the pierogi together and cook them. The filling starts with potatoes and onions, chop them both up! 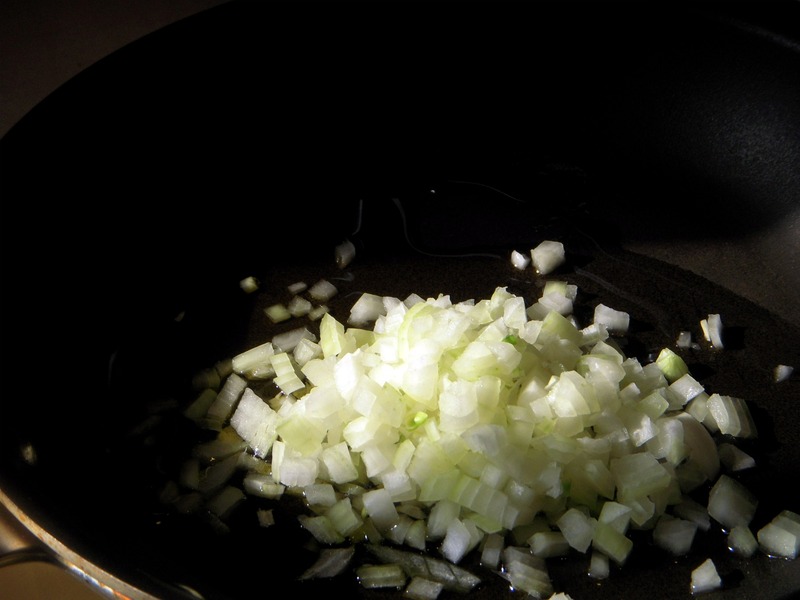 And while your potatoes are boiling, saute the onions in a little bit of olive oil. 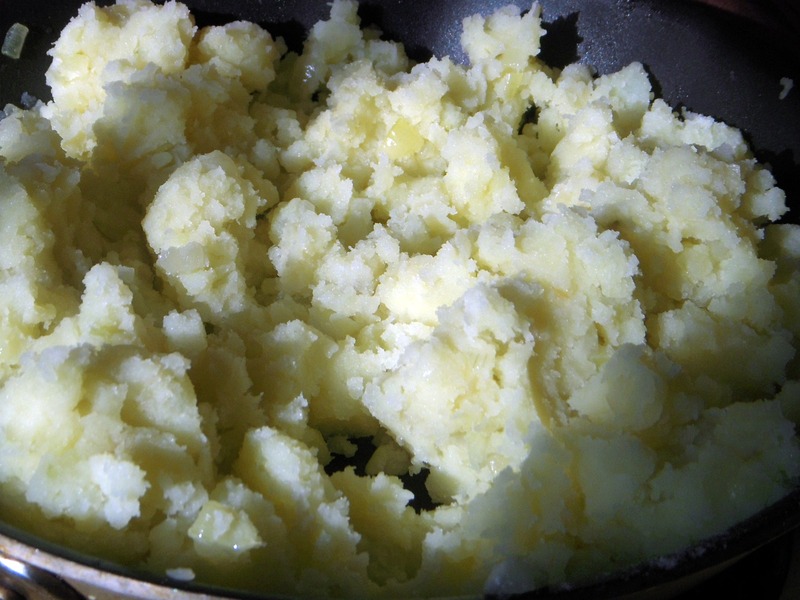 When the onions are tender, and the potatoes are soft, drain the potatoes and add them into the pan with the onions. Mash them up with a dash of salt and pepper, and set them aside to cool while you make the dough. 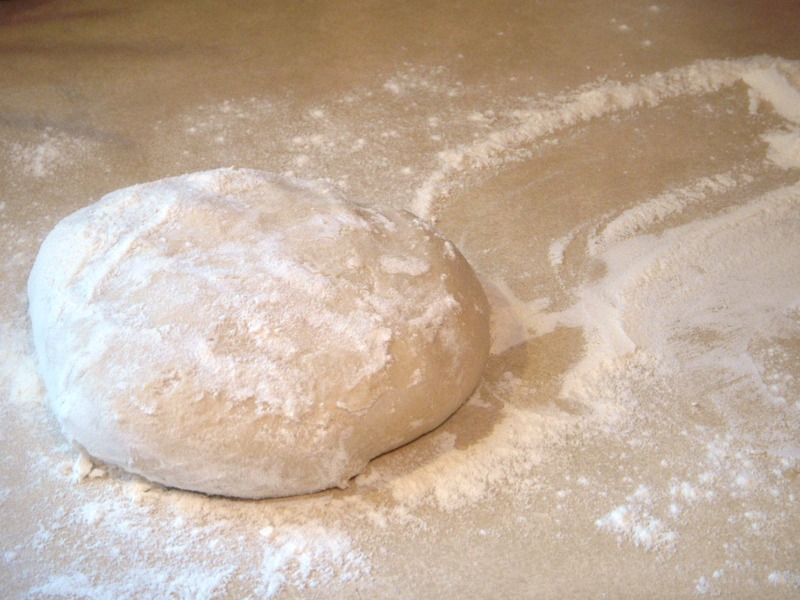 Roll out your dough, so it is very thin, but not so thin that you can see through it, and cut out circles using a cookie cutter, drinking glass, or an empty can. Add a small spoonful of the potato filling, lightly wet the edge of the circle, and pinch the pierogi closed. Now they can either be boiled, fried, boiled & fried, or frozen and saved for later. Enjoy! This entry was posted in In the Kitchen (recipes & more) and tagged brines farm, lindsay jean hard, onion, pierogi, post punk kitchen, potatoes, Real Time Farms, the brinery. Bookmark the permalink. 2 Responses to Have You Tried: Making Pierogi? Original pierogis should have also farmer cheese. It would taste better. Thanks for the comment Andrew! I made vegan pierogi, but I’m sure cheese would be a great addition too in other situations!